In recent years, Harley Davidson has eliminated the need for throttle cables on a number of their models. The throttle, instead, is governed by wire and is now part of the motorcycle’s electrical system. Elimination of throttle cables allows for a cleaner look around the handlebars. It is also one less thing that needs to be inspected, maintained, and adjusted. There are three main components that work together in order to create throttle in a throttle by wire assembly: The twist grip sensor, induction module/throttle control actuator, and the ECM (electronic control module). We mention induction module and the throttle control actuator together because Harley’s’ can only be purchased as one component. They share the same part number and there is no instruction to separate one from the other. 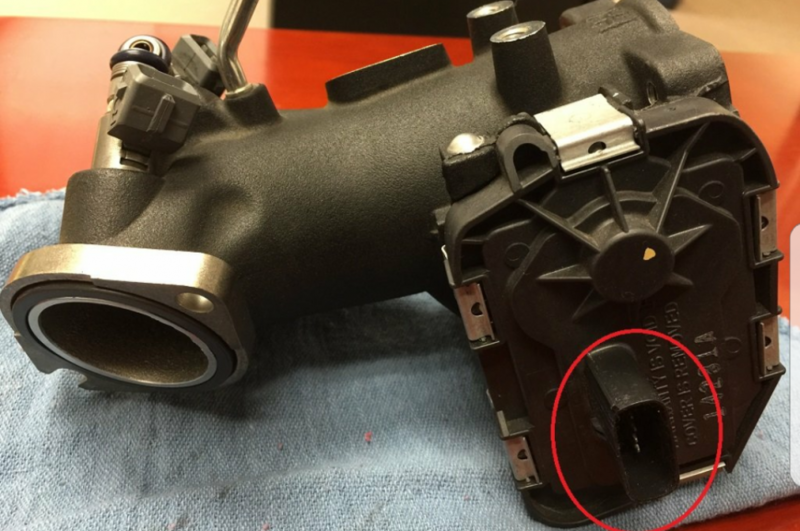 In fact, we highly recommend not tampering with the throttle control actuator in any way. The twist grip sensor has two sets of magnetic sensors that send signals to the electronic control module. The ECM controls all electrical functions on the motorcycle. It allows the twist grip sensor to communicate with the throttle control actuator. 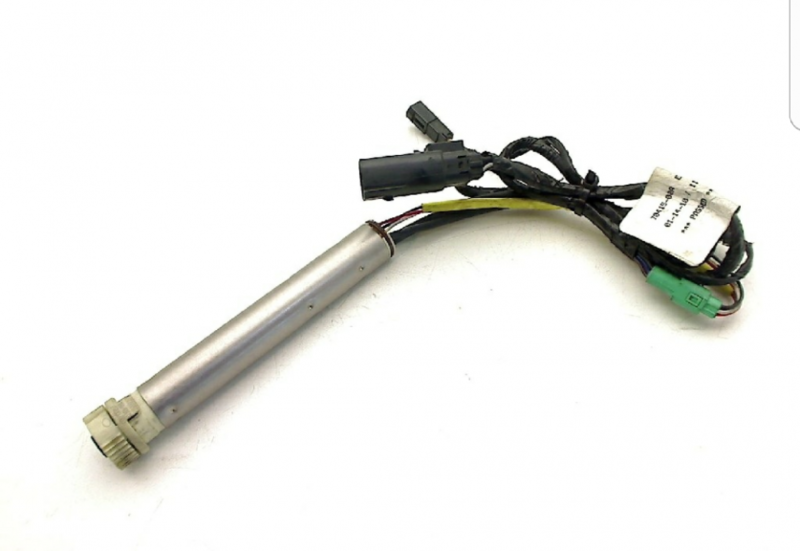 The actuator includes a geared permanent magnet DC motor and two sealed automotive style throttle position sensors which are located on the induction module body. Harley’s throttle by wire assembly can have issues. If there is an error, the system will go into one of three different failure modes. If one signal is lost from the twist grip sensor, the ECM will put the motorcycle into limited performance mode. In this mode, throttle response is slower and full performance is impossible to achieve. If both signals are lost from the twist grip sensor, the ECM will not be able to determine what the operator is wanting to do. The ECM will then go into forced idle mode. In this mode, there can be only slightly more throttle over idle. However, you should be able to get the bike through a few gears as there is also some spark advance allowed. If the DC motor is lost in the throttle actuator or one or both of the throttle position sensors are lost, the ECM will put the bike into “limp mode”. This mode limits the motor to only an idle. “Limping” home will be difficult but possible. Just hope there are no steep hills along the way. If your Harley is experiencing any of these symptoms, there will, almost always, be a corresponding diagnostic error code. The code you find may help you to determine the origin of the failed signal. The majority of the time, it has been our experience to find a bad twist grip sensor. We have, however, also diagnosed bad throttle actuators, ECM’s and worn pin connections at the throttle control actuator. It is very important to have access to an electrical manual for your year and model when trying to diagnose any of these issues. I currently have the same problem, getting p1511 & p2176 codes. What did you do to fix the issue? Have a brand new CVO extended vrip twist sensor installed. I would much rather have cables. Very little maintenance and should last the lifetime of the bike. Electric throttles can easily malfunction requiring professional assistants and very expensive to fix. I don’t see this as an improvement. I’m experiencing “surging” automatic acceleration bursts. Do you think that this could be caused by a bad twist grip sensor? 2012 Roadking. Also, if one gets apes, one must use the Harley extended wire or the resistance changes in the wire and will not work. I am not an expert at this as you all are, so I know you know what I am talking about. I had a lot of problems with this as I was adding 15″ apes and had to extend the cables for the Twist Grip Sensor. Would you all discuss this issue? 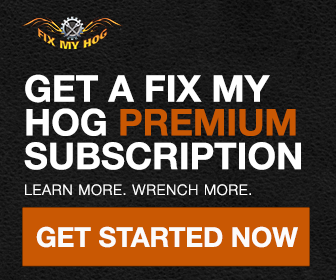 I have a 2015 Road King with TGS issues, I took it to the dealership and they’re diagnosing the ECM may have gone bad…which means I may be $500+ in the hole. Technology is great until it isn’t I guess. I was looking for a step by step video to install the TPS on my 2008 Electric Glide Standard. We do not currently have any videos that cover TPS replacement; we will add it to our list of future topics! How do I hook up my left heated grip to the right one? For Harley Davidson heated grips, the left side plugs into a small plug from the twist grip sensor. Believe the plug you are referencing is near the end of the TGS plug. It has a black and a white wire. If HD heated grips have not previously been installed, you will need to get power from the battery or by adding a fuse to the fuse block. If you do not have the factory instructions, we suggest looking online for them. The instructions are very specific. I just had my twist grip sensor swapped on my 2015 Road King. I wanted to do it myself but I wasn’t sure it was the culprit of my check engine trouble codes. Turns out I was right but I ended up having my dealership do it for me. Good thing is, no more check engine light warnings anymore! My 08 ultra classic cvo has a throttle issue.it drops to idle,and if I shut it off and restart it I get throttle back for a short time,but it drops back to idle.any ideas? 2014 FLHTK rpm stays at 3500 then goes to IDLE back to 3500 or so HAVE TO SHULT OFF TO STOP. NO CODES GRIP SENSOR THIRD ONE IN 60,000 MILES. any one have this happen.its happen on all 3 of the bikes I had.all about the same miles I do a lot of dirt roads.